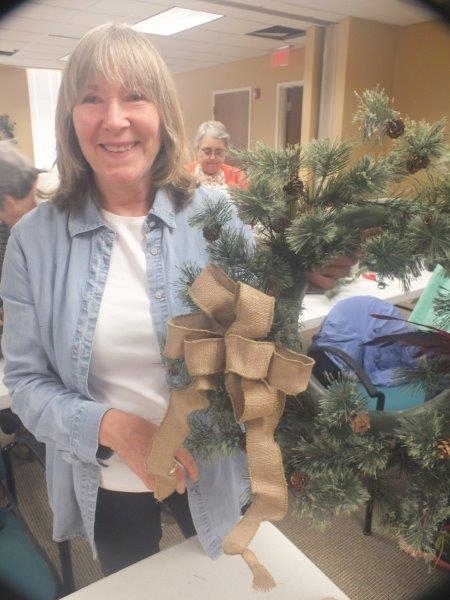 On May 31st, the Extension Office honored many of our member Master Gardeners at a pot-luck luncheon. It was a chance to visit with fellow gardeners and recognize so many folks who contribute their time in our county. GCMGA awarded new members from the 2017 Trainee Class with their own aprons. Freda Steward took some wonderful pictures …. Our plant sale was held Friday the 25th of April at the Gwinnett Justice and Administrative Center in Lawrenceville. We had lots of buyers who came to see and buy our native shrubs, perennials, and vegetables. We had an “Ask a Master Gardener” table to answer all questions and many of our members were on hand to help with buyers selection and tell them how to plant their selections. Photos from the sale are posted in the Photo Gallery. 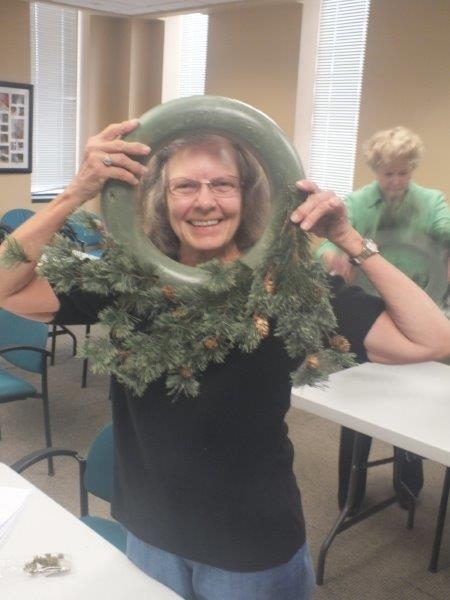 Gwinnett Master Gardener Jessica Miller offered her design expertise to show 17 Gwinnett Master Gardeners how to create wreaths using both artificial and living materials. 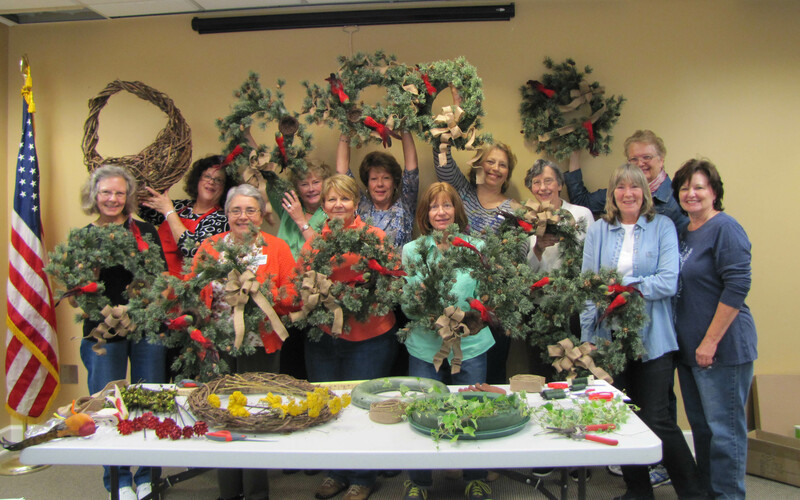 Each participant fashioned a 14-inch wreath using artificial pine twigs, a bird’s nest, two brilliantly colored birds, and burlap ribbon. 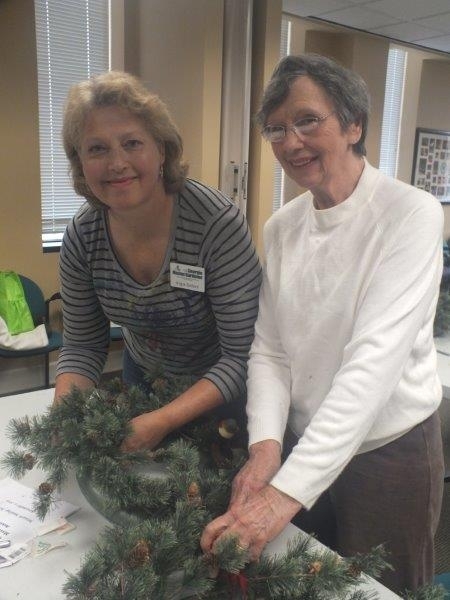 Jessica also demonstrated working with a grapevine wreath form to create a dried flower wreath and a basket wreath. Everyone was fascinated by the oasis table wreath demonstration; floral foam is attached to a plastic tray for long-lasting live centerpieces and the tray/saucer protects your table. 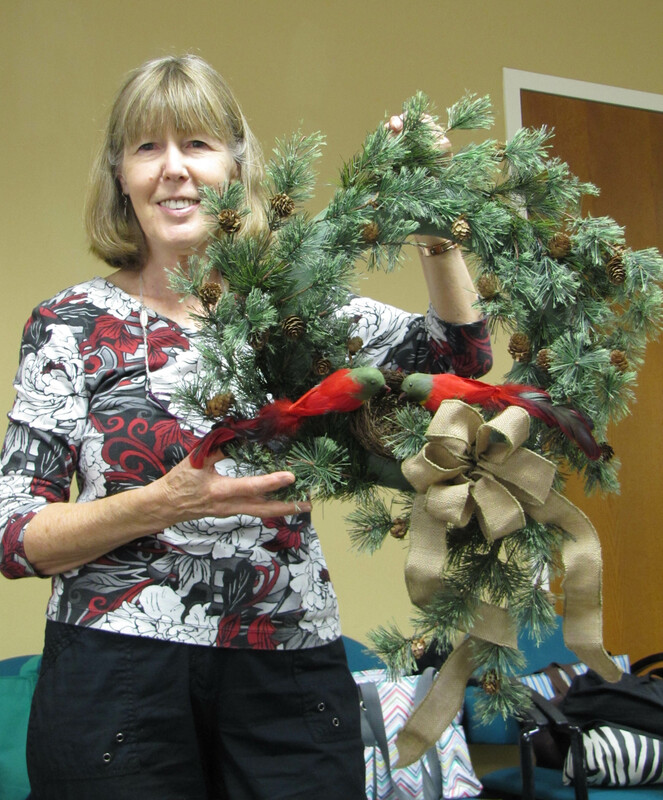 We all went home with a charming wreath and many ideas for future projects. I’ll be rooting ivy for my live wreath this afternoon! This was the final workshop for 2013. 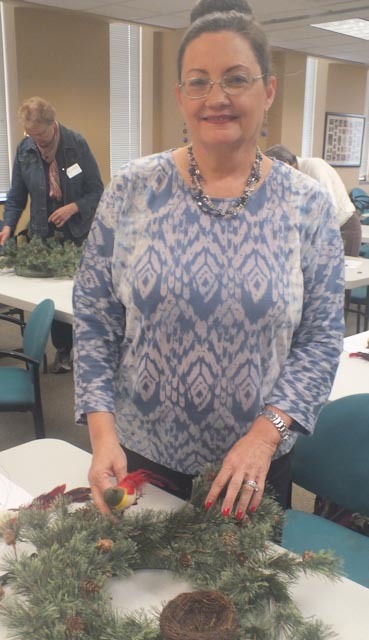 In the past year our association has hosted two advanced master gardener trainings: Woody Landscape Plant Identification and Selection and Leadership: Building a Dynamic MGEV Network. 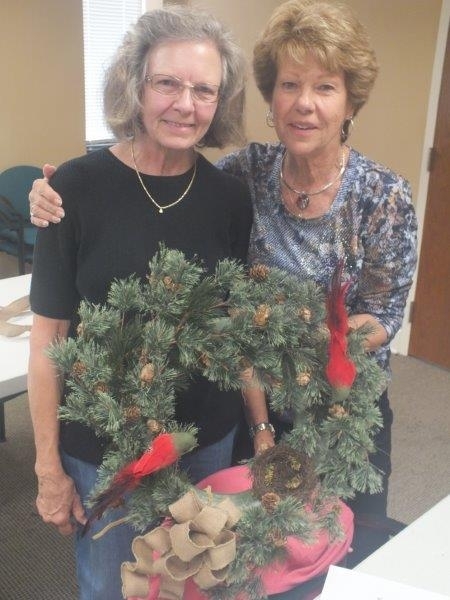 Both of these classes helped members meet requirements for advanced master gardener certification. Additionally there have been five workshops ranging from nature photography to building a birdhouse. 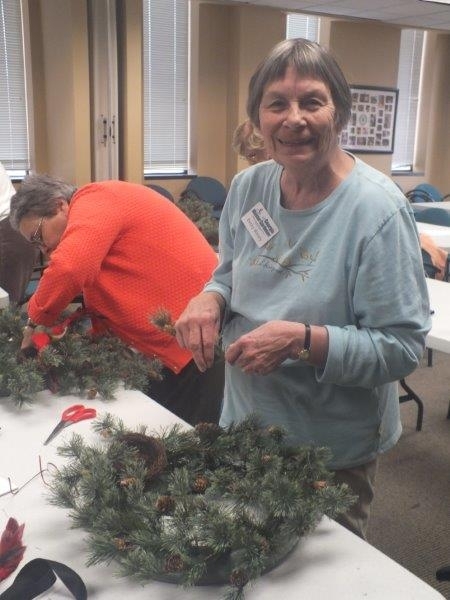 If you have any ideas for 2014 workshops or would like to volunteer your expertise, please email one of our board members. All of our workshop instructors have been GCMGA members. Thanks to Mary Bachner, Jane Burke, Terri Erwin, Jessica Miller, Don Stewart, Carole Teja, and Aaron Tulin. 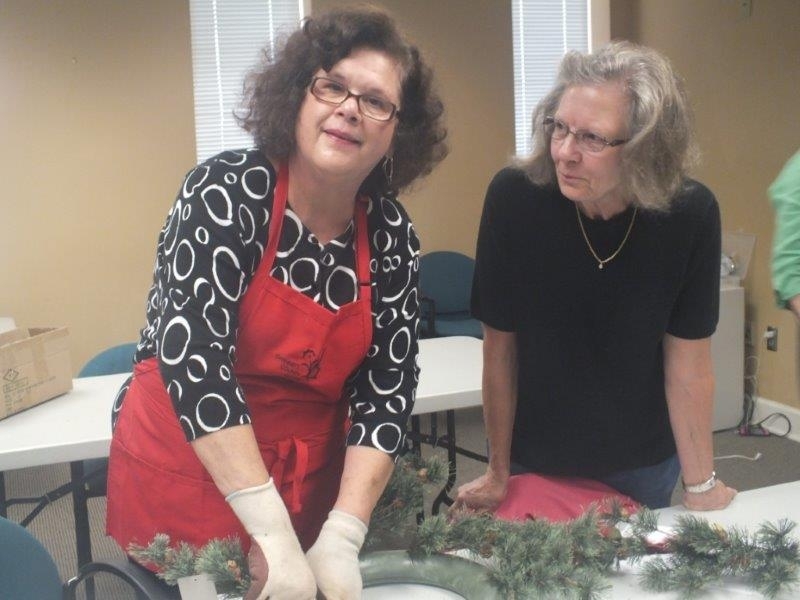 Workshops offer a path to gaining knowledge and forming friendships. 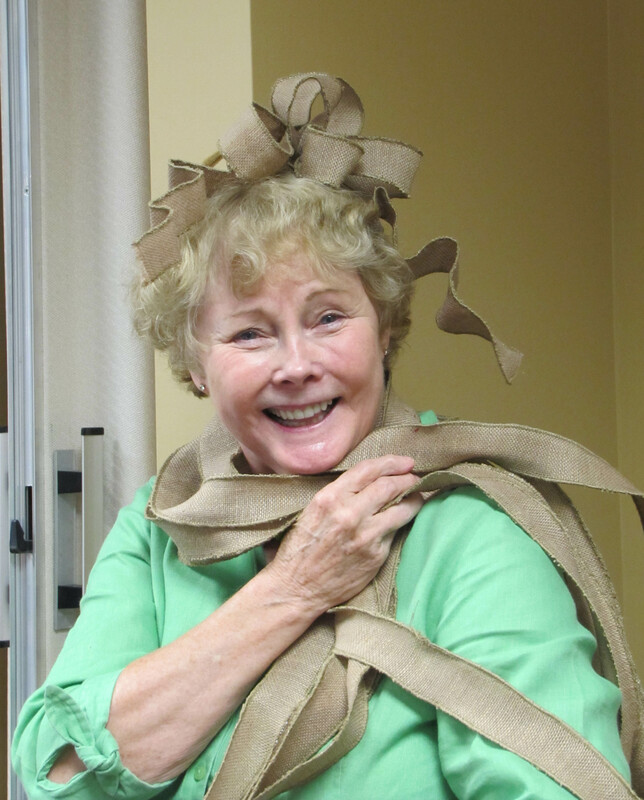 And workshops are fun.